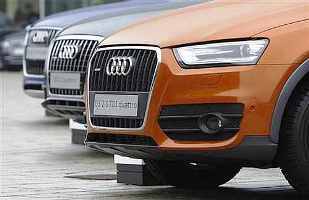 Luxury car maker Audi India on Tuesday reported 57.42 per cent rise in sales in May at 710 units. The company had sold 451 units in the same month of last year, Audi India said in a statement. During January-May period, the company's sales went up by 24.8 per cent to 4,096 units from 3,282 units in the same period of 2012, it added. is proving to be a great year for Audi in India. "Not only are we achieving spectacular growth month on month, we also achieved market leadership in the luxury car segment in India." The company said it plans to expand its network to 34 centres by the end of 2013 from its existing 26. In 2012-13, Audi India had registered a total sales of 9,350 units as against 6,169 units in the previous fiscal.